I can’t quite put my finger on what draws me to the sounds of Jaco Pastorius, but whatever it is…whenever I hear it, it holds me captive. And if you examine some of the jazz you’re listening to today, you’ll likely find remnants or whole fragments of Jaco’s influence. He was the bass player’s bass player. 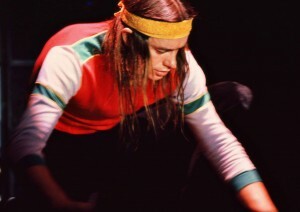 John Francis Pastorius III (nicknamed Jaco) was born in Norristown Pennsylvania, but grew up in the sunny state of Florida. Oakland Park to be exact. As a young lad, he followed in the musical footsteps of his father and picked up the drums. However, after suffering a severe wrist injury, while playing football, he was driven to the waiting arms of the electric bass guitar. And as they say…the rest was history. Jaco was an innovator. His techniques, finger control and overall handing of the bass were second to none. I’m mesmerized by his ear, and how he’d HEAR and play with such mastery. Looking at footage of his concerts, you’d swear it must be easy to do what he did. He made bass playing look cool. You could tell his music was a creative extension of his very being. I’m intrigued by the possibility of what more he could have become. But…unfortunately, like so many of the great musicians of our time, his life ended abruptly. He passed away in 1987 at the age of 35. And while writing this post, I’m rediscovering his self entitled debut and one thing’s for certain, Jaco was a musical genius. And I don’t say that often. I know his is not typically among the names you’ll hear most folks referencing when they’re running down their list of favorite jazz artists. But perhaps this round of Samples vs. Originals will change your mind and lead you to explore more of who he was and what his music was all about. Now, check out Jaco’s original above! Ahhhhh…my job here is done for the night. I hope you enjoy this one as much as I have.